Koh Phangan is world-renowned for its raucous full moon parties that take place on Haad Rin beach. But what many travellers don’t realise is that there is so much more to the island than crazy glowpaint and bucket-fuelled beach parties. There are all kinds of interesting activities on Koh Phangan to keep everyone in the family having fun for the whole holiday. Here, the top six picks of an island resident. Okay, yoga is a pretty common island activity – who doesn’t want to bend down and touch their toes while watching the waves crash in to shore? But acro yoga is a new twist on it. A type of partner yoga, this activity blends yoga, acrobatics, and Thai massage, and is said to be a great way to connect to people and also a good tool for building trust between partners. This new water playground opened in December 2011, and has become extremely popular with those who want to try something a bit different. Lake Hut is a fun venue with a thatched roof and delicious food, that sits on Laem Son lake on the west coast of Phangan, an artificial lake that was once a silver mine. They’ve got aquaskippers, aquazorbs, and a giant rope swing. Open 10am-10pm. See: facebook.com/lakehut or call 084 838 5583. 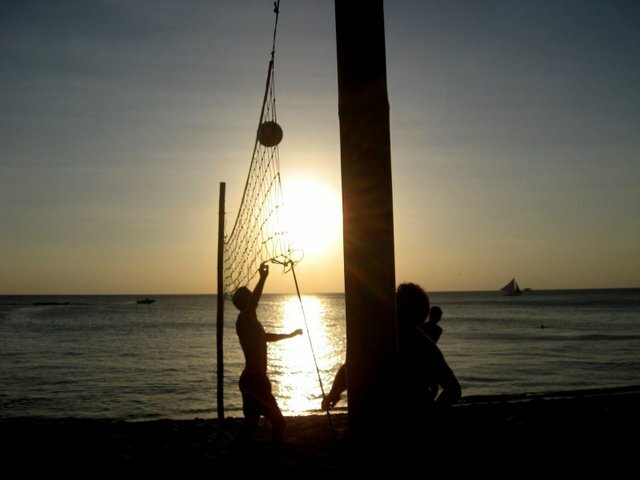 Beach volleyball is not only good fun and a great workout, but it’s a fantastic way to meet people. Every month right around the Full Moon Party period, there’s a beach volleyball festival two-on-two competition on Haad Rin with great prizes. A group of women also play from 5-7pm daily at Beach & Beach in Baan Tai, opposite Baan Tai resort. Water massage, or watsu, is traditional shiatsu massage given while the individual is being safely held and floated on the surface of the water. It’s deeply relaxing, and has profound effects on the neuromuscular system. Call 084 850 0574. Grab a group of friends, some beers, and head out fishing! Take the road to Thong Nai Pan, and turn left after the 7-Eleven. Look for a blue sign that says “fishing”. You’ll go up a sharp hill, and after around five minutes, you’ll see a small pond. Rates vary, but are usually around B150 for one rod for one hour, and you can keep all the fish you catch – be prepared for some big catfish! Archery may not be a traditional beach activity, but for some reason, it’s really taking off on Koh Phangan. You’ve got two archery clubs to choose from, one is the Phangan Archery Club (083 138 7047), which is located near Baan Nai Suan towards the centre of the island. 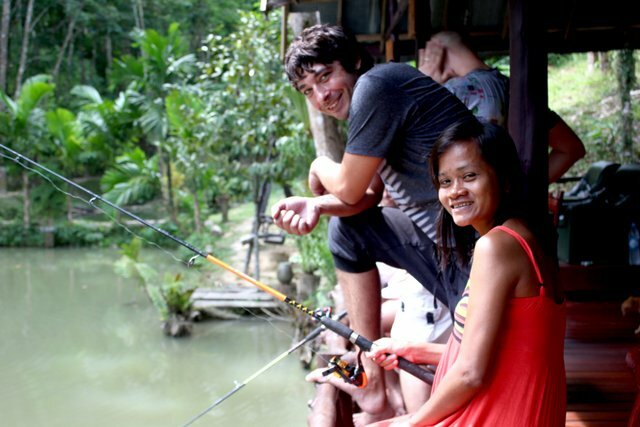 The other is First Bow & Arrow Club, located in Chaloklom (northern Phangan, 0895304080). Rates vary from B150 for 15 minutes to B200 for 1/2 an hour, and this includes instruction. Koh Phangan-based Kaila Krayewski is the Managing Director of BlondeTraveler.com, a travel support service for women travelling and living in Southeast Asia.